Name of Piece: Autumn (i) by Charlie Macpherson Dimensions: Height 64cm x Width 25cm x depth 12cm Description: This one-off, hand-made piece is part of the widely acclaimed Leaf series. 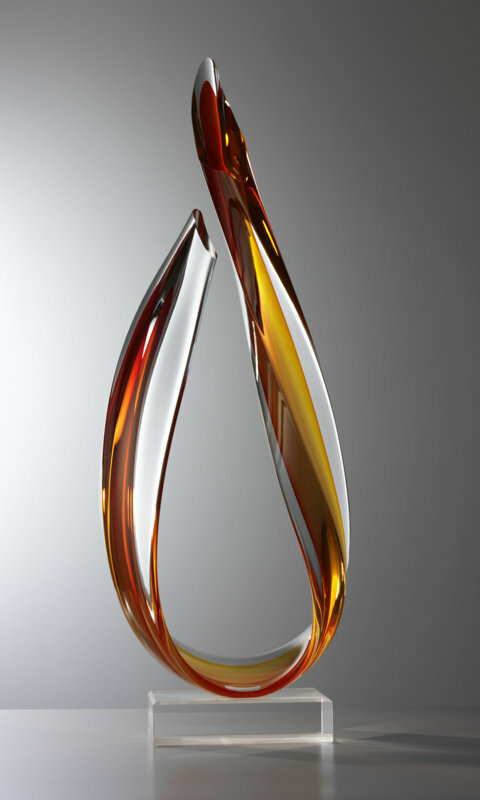 The simple organic shape of the leaf has been captured as the glass cools and transforms into something intricate and visually intoxicating. The richly coloured lines weaving through the glass represent the changing colours of autumnal leaves, and draw the eye in to explore further. Categories: Artists, Charlie Macpherson, Sculpture.